This was purchased as a gift. I got email messages about this order and it arrived on time. Really like this necklace!! !shows real connection between horse and girl. While it is very nice it was the wrong one. I order silver and was sent gold. 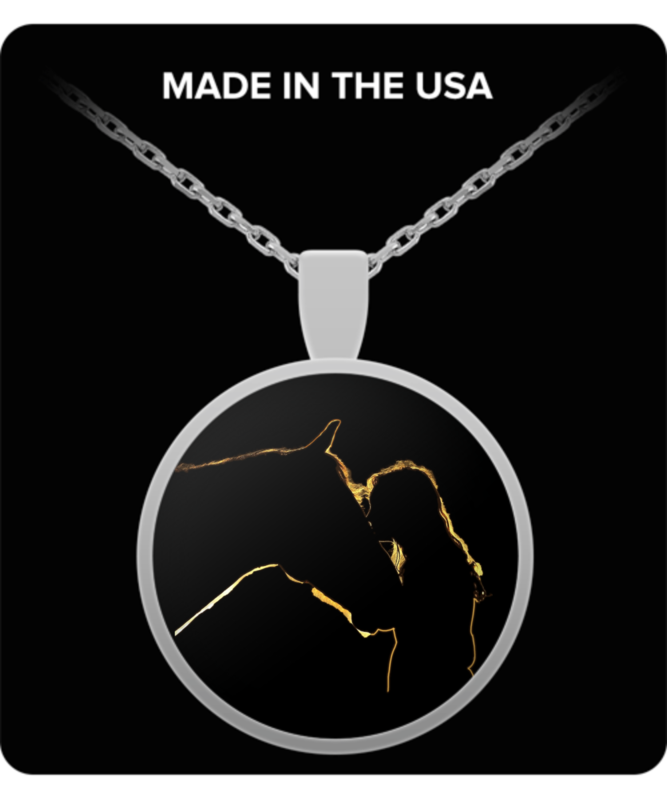 Anyone who has a love for horses will love this necklace. Got the t shirt version of this and now I can wear the necklace when I need to dress up a bit!